Flashers are the latest in giveaways. They are very popular at tradeshows. They put a bright light on your logo. Ready to ship within 10 business days. Rush options available. Click here if you'd like to provide information about your imprint now. Our full service art department will produce a proof for your approval (at no additional cost to you). Please enter your imprint information and any custom directions below. 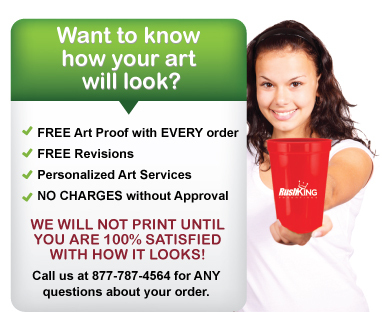 Our full service art department will send you a proof for your approval (at no additional cost to you). If you�re not sure what you need or have any questions, you can call our toll free number (877) 787-4564. If you would like an agent to call you after you place your order, please provide your phone number. Then we will RUSH you your FREE virtual proof for approval. It’s that easy!